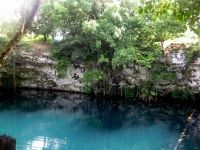 The Dudu Lake is situated 25 km on the west of Nagua, in the direction of Puerto Plata. 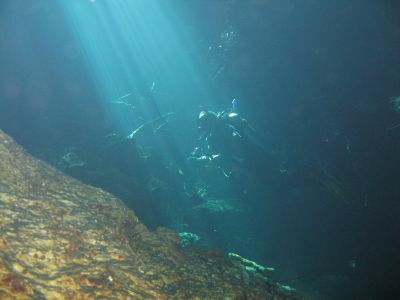 The diving-place Cueva Dudu is made of two freshwater-lakes, which are connected with two caves, 85 and 90 meters long. 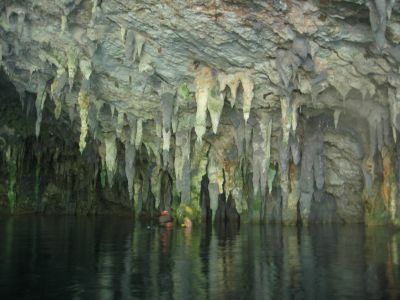 In this caves are fixed strings for the orientation. 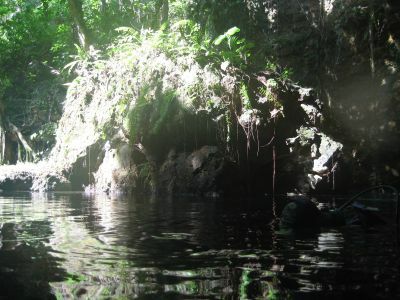 Beginning in the Dudu Lake, there is another tunnel, of which the end is a "dome". 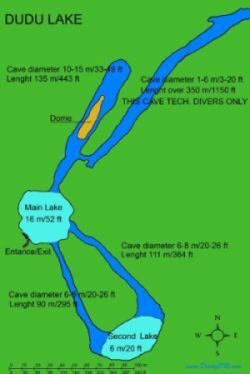 This part of the cave is reachable only by a way under water, but in there is a normal pressure-level and the cave is supplied with fresh air, which flows through the porous karst. 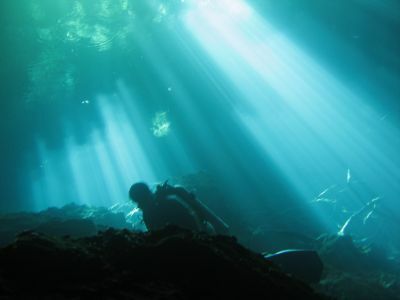 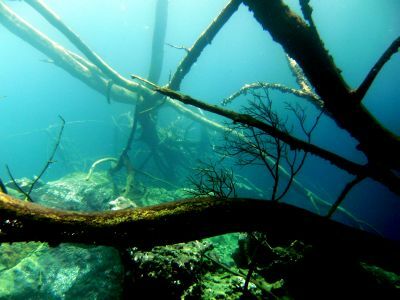 An entrance to another cave is hidden, and it should be entered only by experienced divers with an adequate equipment. 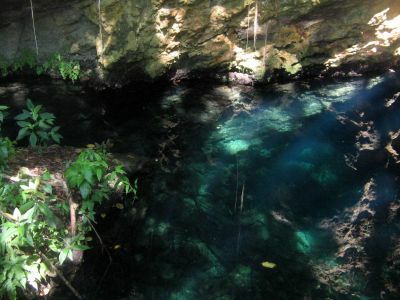 At this entrance there is a notice, which warns of the dangers of cave-diving. 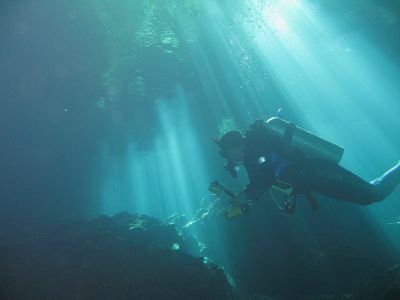 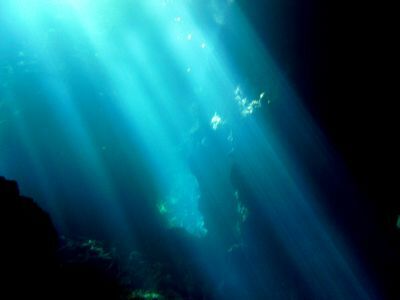 The maximum depth for diving is 16 meters, the temperature of the water 24°C. 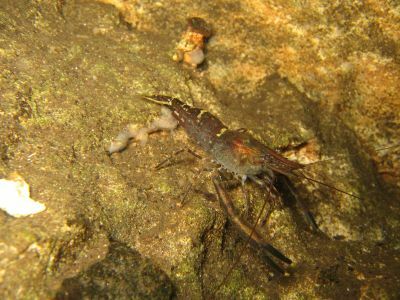 Be fascinated of this unique experience with stalactites, stalagmites, crabs, shrimps and sea-mouthbrooders. 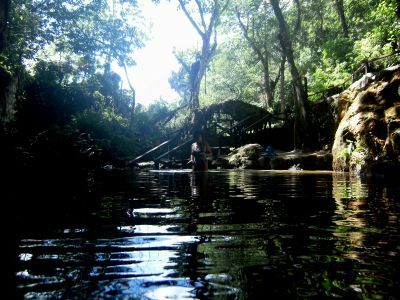 PRICE: 2 persons minimum: 150 US$ /person - 3 persons: 135 US$ / person - from 4 persons: 120 US$ / person.